Want to Get Personalized Research Help From a Librarian? Are you having trouble navigating GALILEO and all of our online databases? Not sure where to start for your research paper? 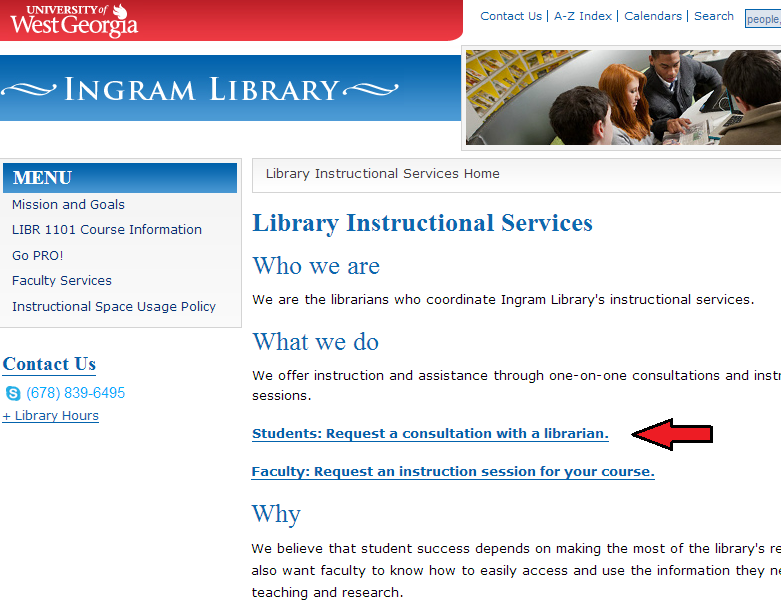 With Go PRO (the Personalized Research Option), a UWG Librarian will meet with you one-on-one to assist you in your research. We can help you narrow your topic, choose the right databases, search more effectively and track down useful materials of all types at Ingram Library and beyond. A librarian can meet with you any time from 11:30am-5:00pm Monday-Thursday, and you can reserve your spot online. 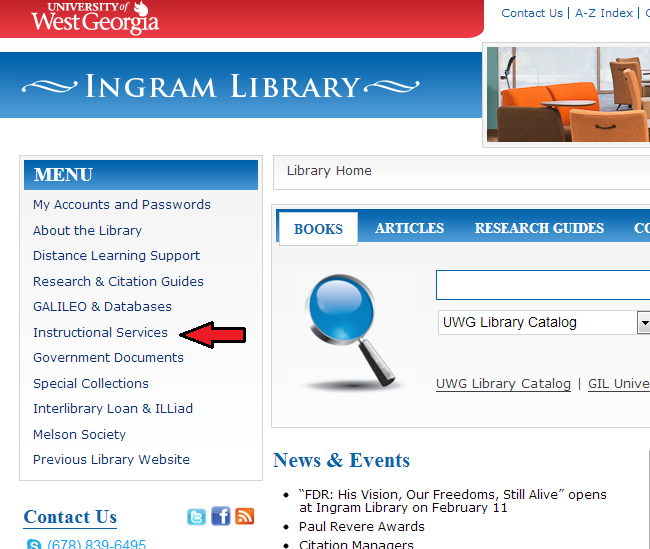 At the time of your consultation, meet us at the Reference Desk on the 1st floor of Ingram Library. If your question requires specific expertise in your major or field you are studying, you can meet with the librarian who is a subject specialist in that area. Fill out the following form and we will get back to you within 1 business day and set up a time for the consultation. Better papers start with better research strategies. Let a librarian give you personalized help today! This entry was posted in Reference Help, Spotlight. Bookmark the permalink.